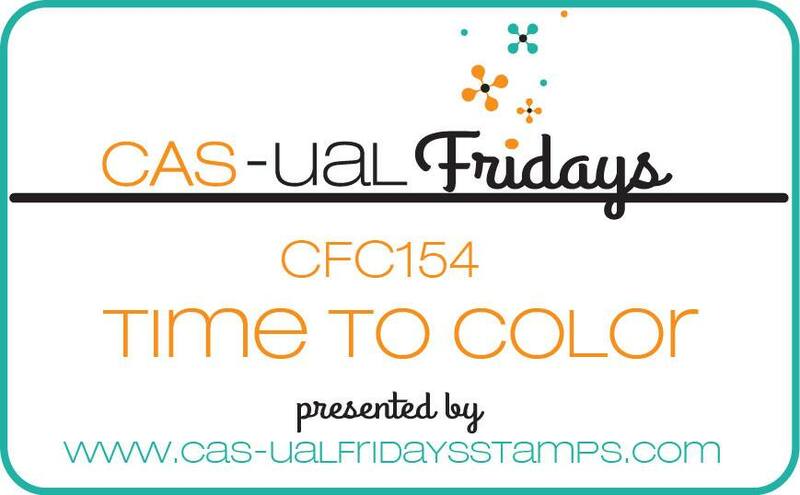 Dawn is hosting this week's Papertrey MIM Challenge with a video on ombre cluster stamping. 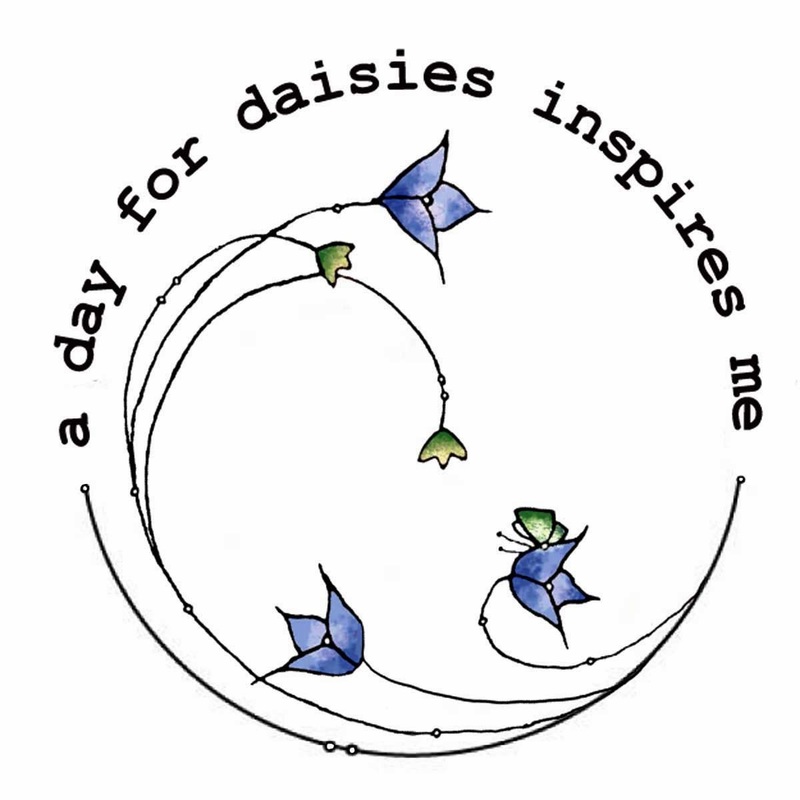 Here is what I created with Dawn's technique and images from Woodblock Prints and a sentiment from Fancy Foliage. I added a couple of enamel dots for added interest. Thanks for popping in and a have a super day! Also entered into the following challenges. 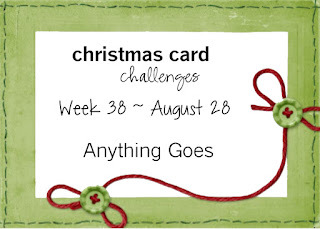 It's "Anything Goes" this week at the Christmas Card Challenge Blog. I kept my card very CAS this week using images and a sentiment from Treetops Glisten by Papertrey Ink. 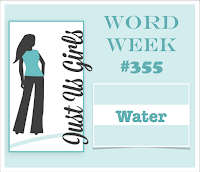 I hope you will find time to play along with us this week. We would love to see you in our gallery! 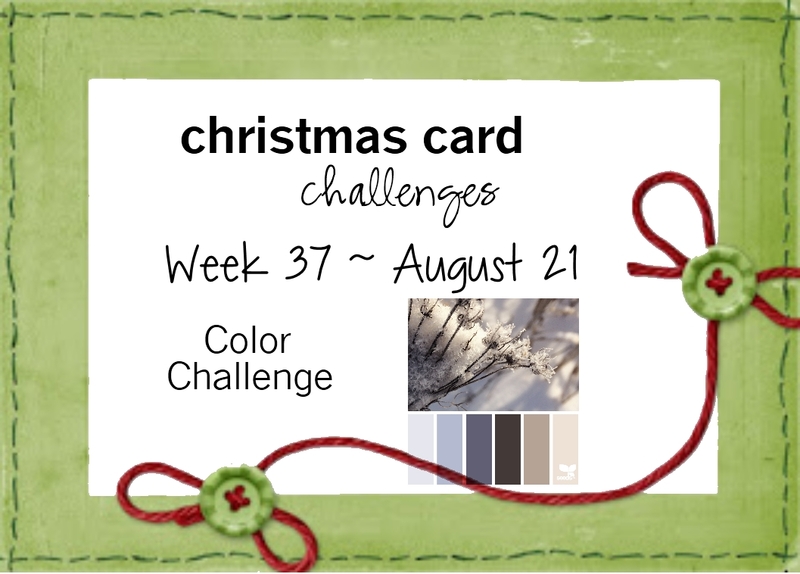 I'm playing along in the Color Throwdown Challenge with this card and a die cut image and sentiment from Fancy Foliage by Papertrey Ink. 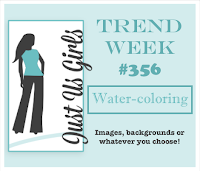 My background was water colored with Gansai Tambi water colors. The stitched rectangle panel is cut from a wafer die by Simon Says Stamp. You can find the graphics below this post. Thanks for dropping by and have a super weekend! The moon was heat embossed with clear embossing powder and the whole panel was lightly sponged with Spun Sugar and Picked Raspberry distress inks. Water splatters were added around the moon. The pine trees were stamped twice. Once with grey ink then a second time with dark brown ink. I was going for a snowy effect. I finished off the card with several enamel dots that are supposed to represent other planets. My card today features a couple of new stamps and their coordinating dies, Fancy Foliage and Stylized Autumn. I did some masking and sponging with distress inks to create my background. How adorable is that little fox? Hello and welcome to a new challenge at ATSM! It's a holiday theme this week and since Halloween is only a several months away I thought I would get a jump start on my cards. I pulled out a set by PTI released a couple of years ago entitled Superstition. I paired it up with that gorgeous moon image in the background from To the Moon by Altenew which I heat embossed with clear embossing powder. I sponged the sky with distress inks before adhering the sponged die cut grass from MFT. I added a few water splatters and a sentiment from Trick Or Treat also by PTI and my card was complete. Stop by and see what the rest of the DT created. 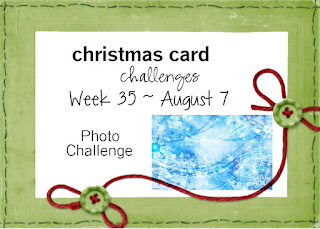 We would love to see your cards in our gallery! Here is this week's prize! Hello friends and welcome to Christmas Card Challenge #37! 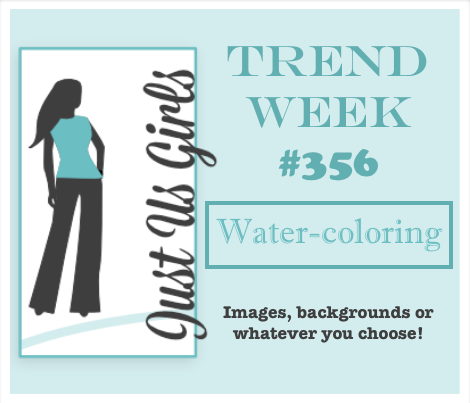 We have a color challenge for you this week pictured below. 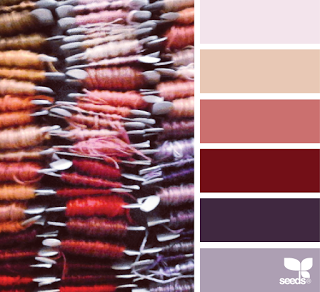 You don't have to use these colors as long as your card is Christmas or holiday related. We only provide it for inspiration. My card today features images from Spruce and Sprigs by Papertrey Ink. 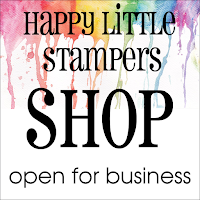 The stitched die cut rectangle is a wafer die by Simon Says Stamp. Now it's your turn! 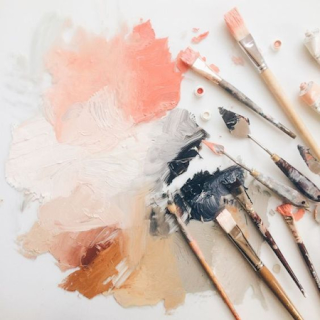 We would love to see your fabulous creations in our gallery. Stop by and play along and see what the rest of the DT has created! I had my distress inks on hand and the dahlia stamp by WPlus9 so I thought I would do a little water coloring. After it dried I cut the image out with a Simon Says stitched rectangle wafer die and adhered a die cut sentiment by PTI. Hey there and thanks for dropping by! I just adore this cute set by MFT called Monster Love. Perfect for kids of any age. I added a splatter image from Distressed Patterns also by MFT here and there for some added interest. The large solid circle stamp is a moon image from Altenew's To the Moon. The front panel is a wafer die by Simon Says Stamp. This month I'm casing Amy's gorgeous creation pictured below. I can't wait to receive my goodies so that I can actually recreate this beauty. Here is what I came up with. My card features images from Twig Wreath, Pumpkin Patch, Spruce and Sprigs and a sentiment from Autumn Hills. I did a little smooshing in the background with my Gansai Tambi water colors. The stitched die cut rectangle is a wafer die by Simon Says Stamp. Thanks for popping in and enjoy your day! 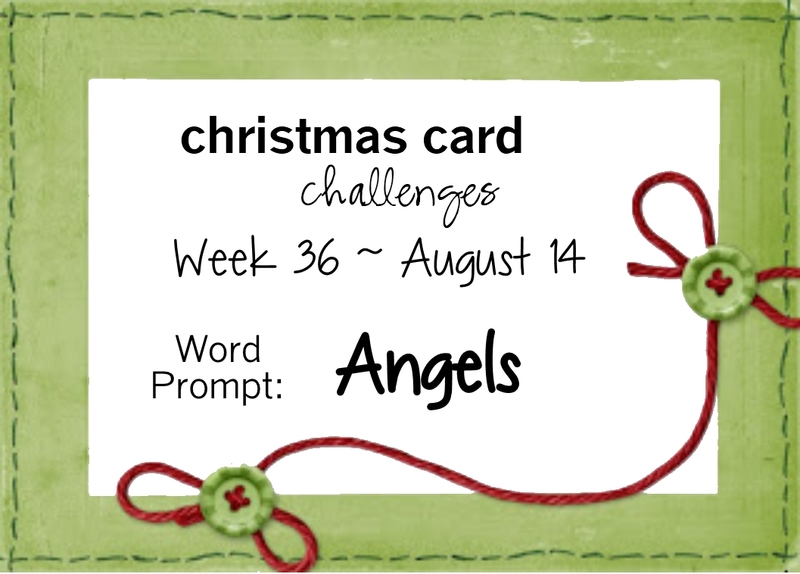 Good morning and welcome to challenge #36! 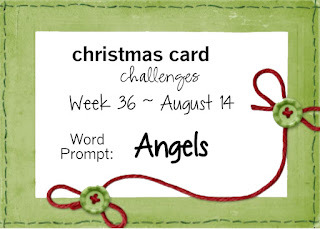 For this week's challenge we would like to see angels in our gallery. For my card today I embossed this beautiful image using an older thin metal stencil by DREAMWEAVERS called Standing Angel. I sponged various distress inks and heat embossed the sentiment from Stained Glass by PTI in gold. I hope you play along with us . For most stamp companies August seems to be the month when Halloween sets are released. My card today features a set released a couple of years ago by Papertrey Ink called Superstition. I water colored the background with my Gansai Tambi water colors onto a stitched rectangle wafer die by Simon Says Stamp. The sentiment came from the set Trick Or Treat also by PTI. This card reminds me of my black cat Charlie who has a fascination with paper bags and boxes. One of his favorite places to sleep is in a cardboard box that sits on top of my kitchen cabinets. It's Lexi's turn to host this week's Papertrey MIM Challenge and she shares a few tips for using a sentiment to ground your stamped images. 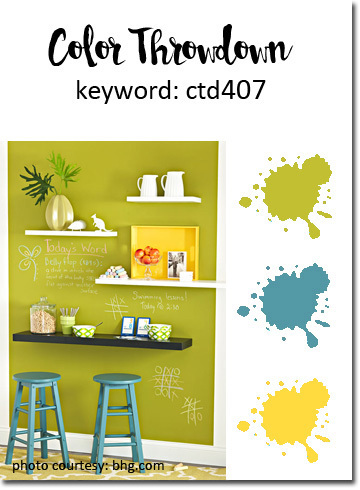 My card today features Some Like It Hot with a coordinating die and Tropics. Paint splatters were added at the last minute. 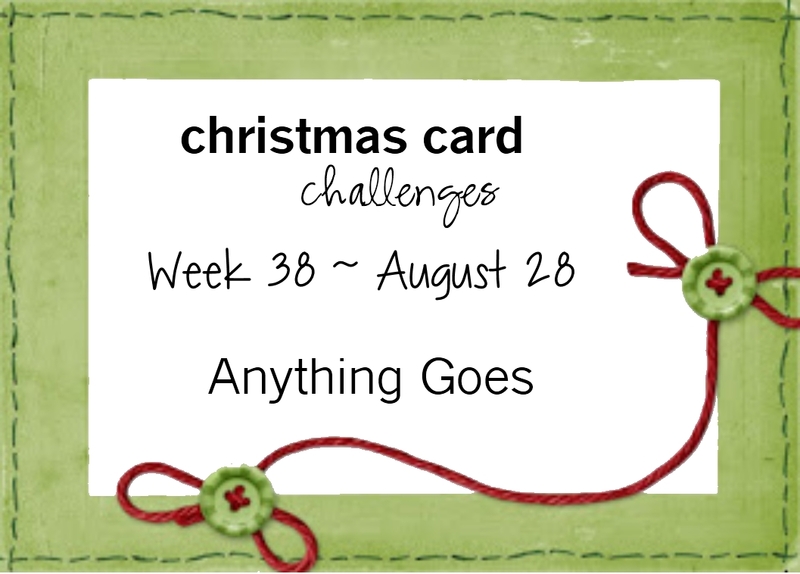 This week's challenge at ATSM is everyone's favorite. 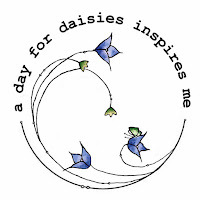 A Day For Daisies provides themed categories of over 3000 digital stamp illustrations for all your crafty projects. 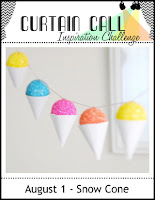 Today I'm playing along in the current Curtain Call Challenge. My card features images and a sentiment from Tropics by Papertrey Ink. The background was sponged with distress inks and water splatters were added. 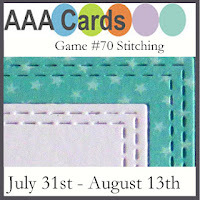 Also used was a stitched rectangle wafer die by Simon Says Stamp. I notched out both sides of the panel and tied a piece of twine as a finishing touch. Welcome and thanks for popping in! 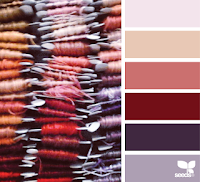 I have one more tag to share today featuring an image and coordinating die from Some Like It Hot by PTI and a sentiment from Fill It With Flowers by Gina K. Designs. 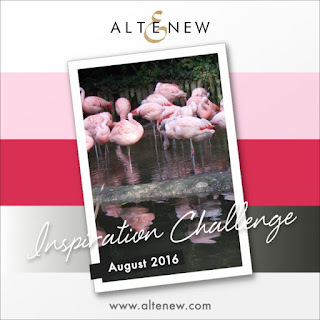 Of course there is more sponging with distress inks! One of my favorite techniques next to water coloring. I added water and black ink splatters to finish off my card. While my distress inks were still on my crafting table from the last project, I sponged up this Christmas Thanks tag. 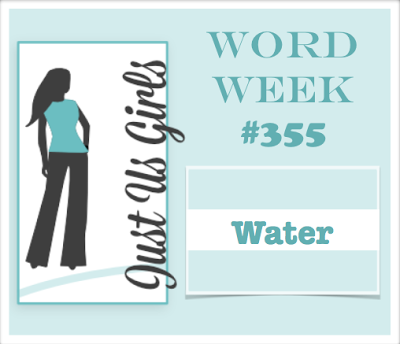 My tag features a stamped image from Bring On the Snowflakes, a die cut from Funky Flakes by Cas-ual Fridays and a sentiment from Gina K. Designs. Water splatters were added for dimension. Don't you just love that font! 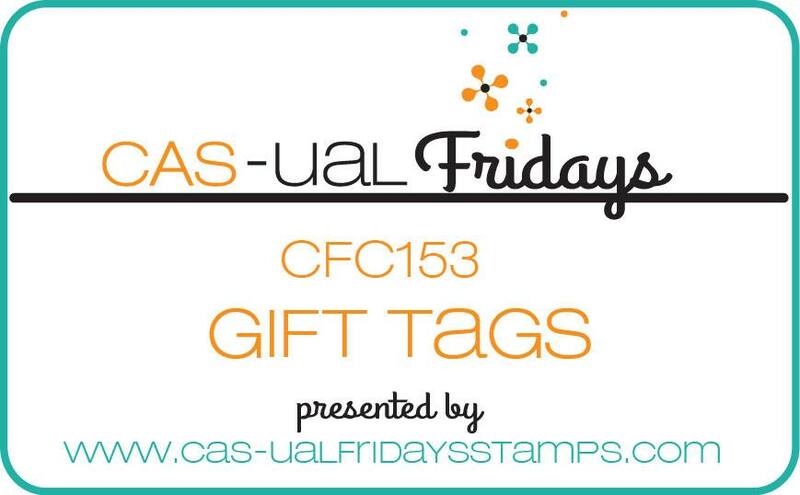 Today I created a tag for the current CAS-ual Friday Challenge that will be ending soon. My crafting table was quite messy for such a small project. 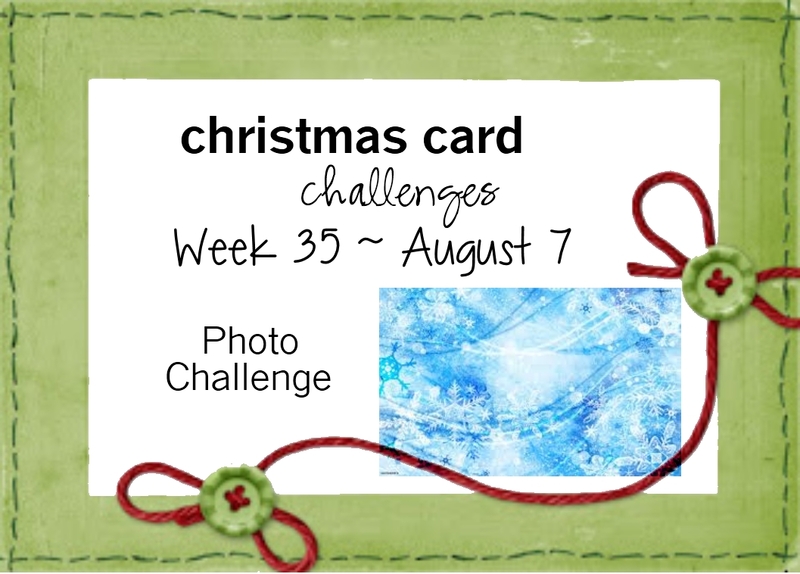 Hello and welcome to challenge #35! Here is this week's inspiration photo. For my card today I used a sentiment from Oh Holy Night by PTI and stamped it onto a background that was stenciled using an old Impressionabilities thin metal template by Spellbinders and salty ocean distress ink. I checked and I don't think they carry this line anymore. Stop by and see what the rest of the DT has created and play along. We would love to see you in our gallery.